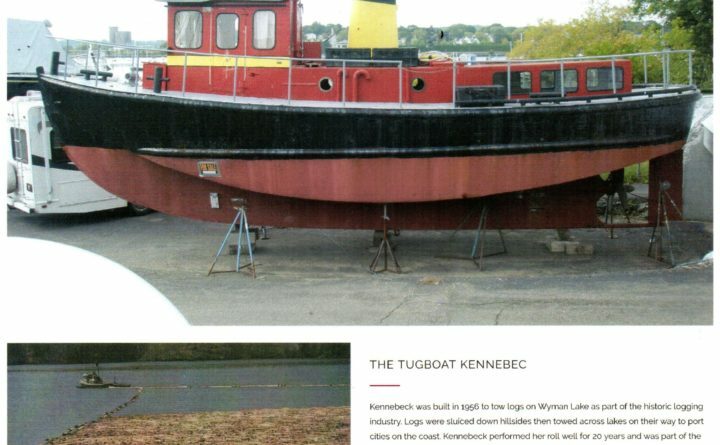 PATTEN — Ending her service of 20 years towing rafts of logs across Wyman Lake, the Kennebec tugboat’s most notable role was played out in the historic last log drive on the Kennebec River in the state of Maine in 1976. Her next role was to tow barges loaded with logs from the islands to the town of Rockland. After that, the Maine Maritime Academy utilized her as a training vessel before going into private ownership. Alas, the time has come to retire the little tugboat which worked so hard in the logging industry. She awaits transport from Journey’s End Marina in Rockland to Patten Lumbermen’s Museum in Patten.